While many of us are trying to stay cool in Britain, the PM and her ministers are travelling around the overheated EU stressing the value of the free gift to the EU offered in the July White Paper. While many of us are trying to stay cool in Britain, the PM and her ministers are travelling around the overheated EU stressing the value of the free gift to the EU offered in the July White Paper. This promised to constrain the UK’s future competitiveness by continuing to follow the EU’s State Aid Rules on limits to state funding of private companies in disadvantaged regions and nationalised industries. No taking back control here. Our contributor Richard Tuck will write next week on how this continues a long history of British Governments attempting to use the EU to constrain their political opponents within the UK. More positively, this week brings welcome news that cracks in the EU’s negotiating stance are at last appearing. Reports suggest that France and Germany are pressing the European Commission to postpone details of a future deal with the UK by making a looser statement-of-intent than previously anticipated. The EU had planned all along to include in this year’s Withdrawal Agreement an outline of future relations to be negotiated after we leave. Up until now, Germany and France have demanded that any deal contain a substantial statement of what the future trading and security relationships with the UK would look like. It now seems that Germany and France may, however, prefer a vague deal to avoid the No Deal they fear. That said, the possibility of No Deal continues to loom large, and it is imperative that the UK intensifies planning for this outcome. Claims and counter-claims abound as to what such a scenario might look like. On the one hand we have the usual Project Fear horror stories, on the other calls to embrace WTO trading standards as a matter of deliberate policy. 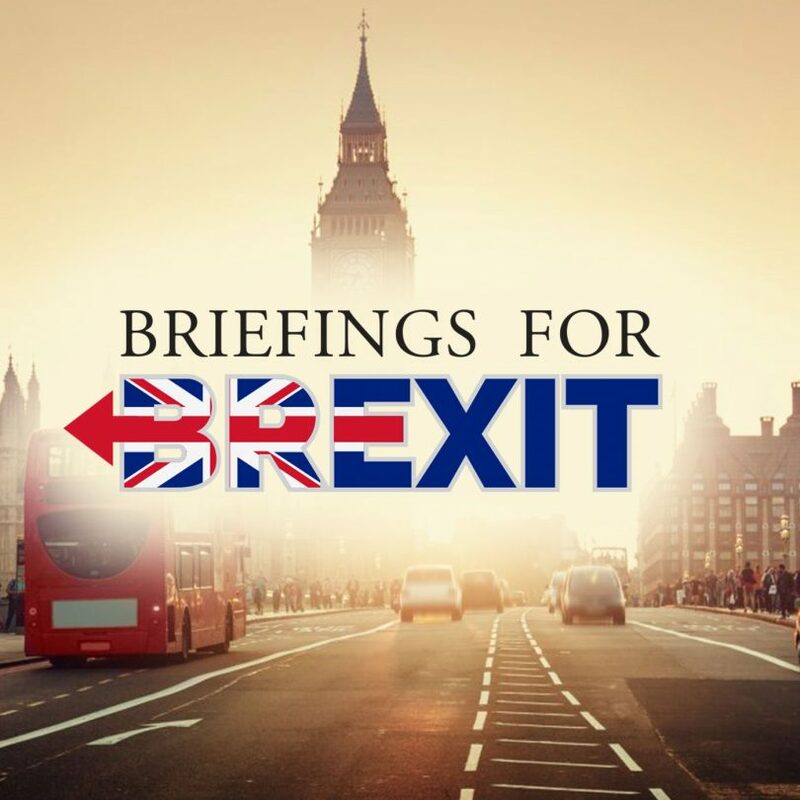 This week at Briefings for Brexit we feature two articles exploring the WTO option. Details are given below. We were pleased to see other pro-Brexit news websites picking up on the above-mentioned ‘Modest Proposal’ written for BfB by a senior private-sector economist. Here is the story on the Reaction website. Many of you will have seen the extensive coverage of Martin Howe QC’s memorandum published in the first few days after the Chequers deal. The memorandum, widely disseminated in ERG circles and used by Andrew Marr as a basis on which to question Michael Gove, criticised the Chequers plan as the worst-of-all-worlds, a “Black Hole” Brexit in which the UK ends a mere EU vassal state. 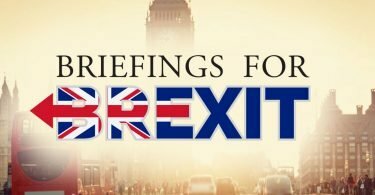 Now, following the publication of the government White Paper on 12th July 2018, Howe and other legal colleagues are producing a series of in-depth briefings about different aspects of the Chequers plan. This report, the first of this series, deals with the jurisdiction of the European Court of Justice. Howe finds that under the terms of the White Paper, the ECJ will have direct jurisdiction to bind the UK to make its law comply with the EU rulebook as interpreted by the ECJ (via the questionable Ukraine/Moldova/Georgia joint reference procedure). The ECJ will also be able to make binding rulings which control the activities of UK businesses via its jurisdiction over the EU agencies to which the UK will submit under the Chequers plan. This article explores the provocative and bold proposal that the UK implement zero-tariffs for a temporary two-year period after Brexit. This is an option which would help consumers and cause difficulties for EU exporters to the UK, but could also put pressure on UK UK car-makers and food producers by reducing tariffs from non-EU sources. The proposal is a flexible one, which still leaves room for subsidies to protect certain industries which would be vulnerable under radical free-trade conditions, such as agriculture. Jamie Arnell, a partner at Charterhouse, writing in a personal capacity, advocates a low tariff regime, and like the ‘Modest Proposal’ above one that maintains pressure on EU countries to agree a free-trade agreement. In a detailed and informative article, he describes a WTO regime as an ‘almost free-trade agreement’ with all countries. Arnell also makes two suggestions for the Irish border that echo points previously made on this site. Dr Philip Towle, Emeritus Reader in International Relations and former Director of the Centre of International Studies, Cambridge, argues that contrary to the conventional wisdom of the 1940s, small states have continued to thrive in the post-war world. It is right that Britain endorse a Europe of small nations rather than the ineffective monolith of the EU.